The glare of the sun wasn't the only reason Coachella revelers had to keep their sunglasses on this weekend. The stars were out, too. 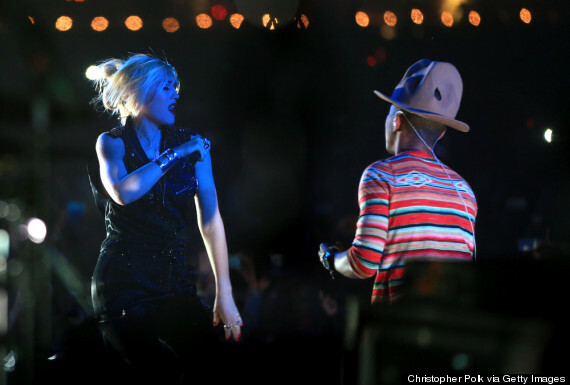 The Empire Polo Club was crawling with celebrities during the festival's opening weekend, and several A-list musicians appeared onstage alongside the event's performers. 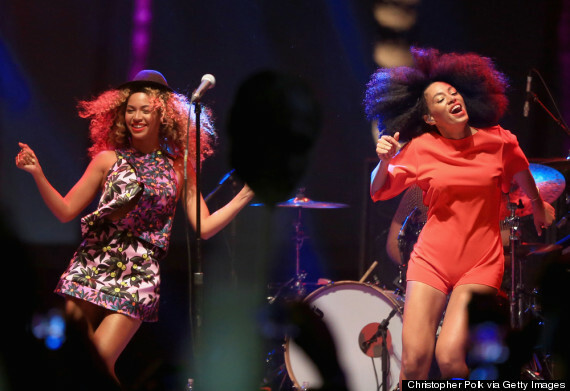 Most notably, Queen Bey made a surprise appearance toward the end of sister Solange's set on Saturday, April 12. 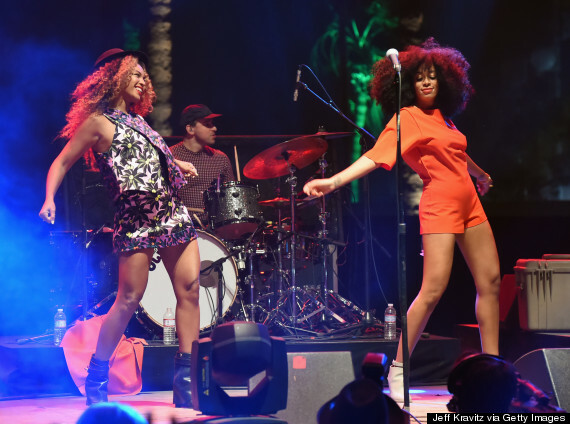 With the audience already going wild for Solange's high-energy performance, the Knowles duo rolled out a synchronized dance to the younger sister's "Losing You," because when you're Beyonce, that's all you need to do to get a crowd riled up. But don't think just one-half of the Carter couple was on hand to join in the fun. 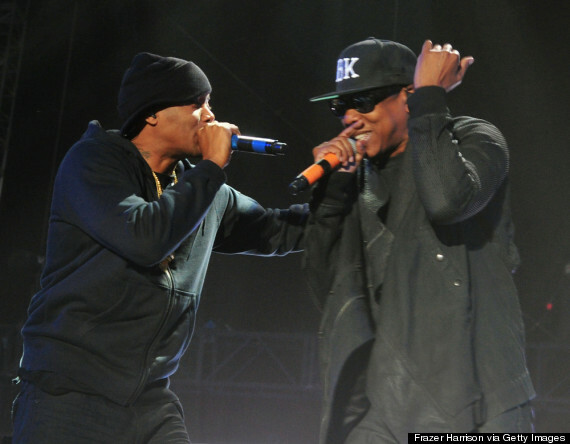 Eight years after their infamous feud was laid to rest and just a few hours after Beyonce and Solange teamed up, Jay Z hopped onstage during Nas' set. They performed “Dead Presidents II," the song that many attribute to the start of the rappers' discord. Jay Z then dove into “Where I'm From," a track from "In My Lifetime, Vol. 1." 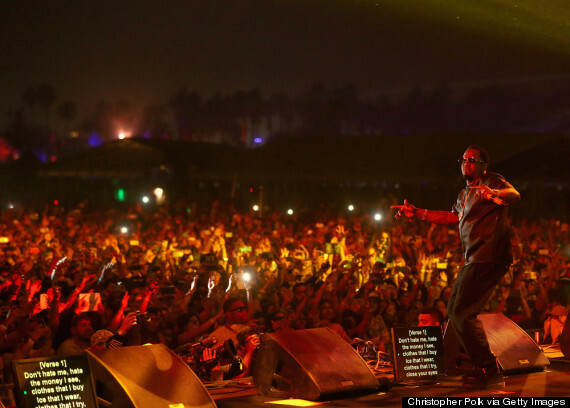 Puff Daddy joined Nas for his penultimate song, their 1999 collaboration "Hate Me Now." Proof everything comes full-circle: Sean Combs was Puff Daddy back when "Hate Me Now" came out, and 15 years and multiple name changes later, he's Puff Daddy again. During Pharrell Williams' set, which took place right before Nas went on, the "Happy" singer brought on a veritable who's-who of guests. Snoop Dogg, Nelly, Puff Daddy, Gwen Stefani, Busta Rhymes, Diplo and Tyler, The Creator all appeared alongside Williams. Each guest performed of one his or her originals, making Williams' setlist a hodgepodge of hip-hop and pop hits. Snoop rolled through "Drop It Like It's Hot," Nelly did "Hot in Herre," Rhymes broke out old favorite "Pass the Courvoisier, Part II" and Stefani jammed to "Hollaback Girl." 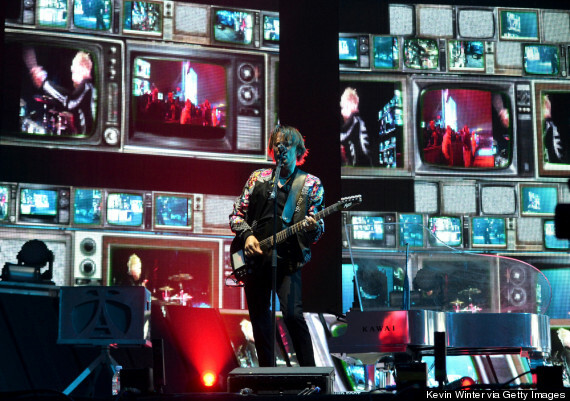 Finally, Muse, who closed out the main stage, paid tribute to Nirvana -- who were honored with a Rock and Roll Hall of Fame induction this week, exactly 20 years after Kurt Cobain's death -- by performing the band's popular song "Lithium."